In every industry, asset management is critical to ensuring productivity, reducing downtime and promoting profits. Across South Africa, asset management, facilities management and manufacturing industries have been challenged with an economic mountain which appeared to bring many to rock bottom. Yet digital transformation has offered the stepping stones needed to overcome, as digitisation brings with it great competitive advantage. 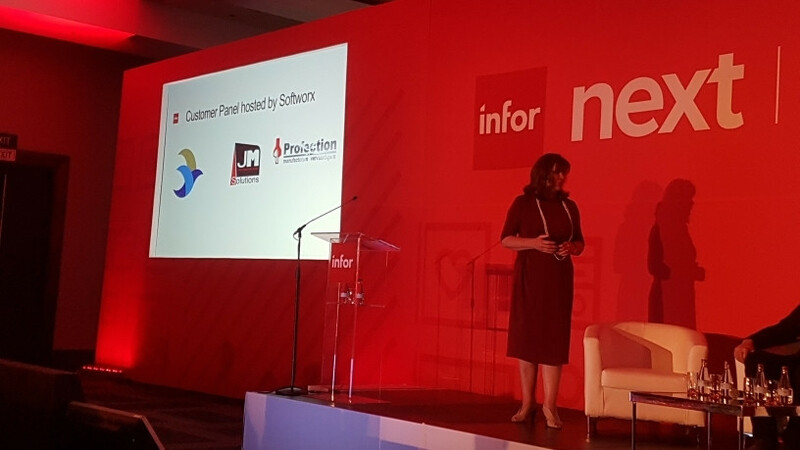 At the Infor Next 2017 Johannesburg event held earlier this year at Montecasino, Heilet Scholtz (Executive at Softworx, Infor's Master Partner in Africa) hosted a panel discussion with three businesses that are furthering their success with a software-centric approach. 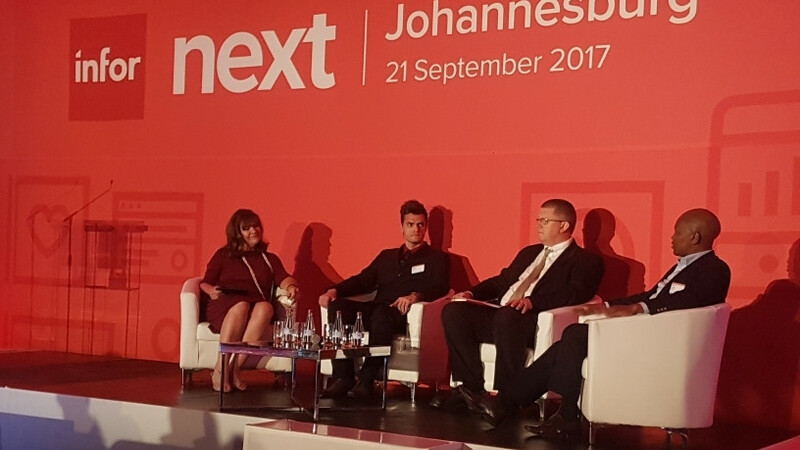 "To be at the forefront of technological innovation means leading the pack," said Scholtz. According to Jacob Molefe, Managing Director at JM Solutions, it's all about smart investment choices and a focus on sustainability with a view to embracing globalisation. Many businesses are now inclined to globalising operations in order to diversify their businesses, reduce risk and improve returns. Looking to the future, he advised businesses to consider their sustainability and investment. "Alternative energy sources become imperative. Increasing costs related to the buildings, driven by high energy costs, have become very critical to our clients." To Molefe technology is becoming increasingly important. "Our clients continue to embrace technology going forward. We've seen how online shopping has become key. We've seen the global adoption of smart phones, and software. 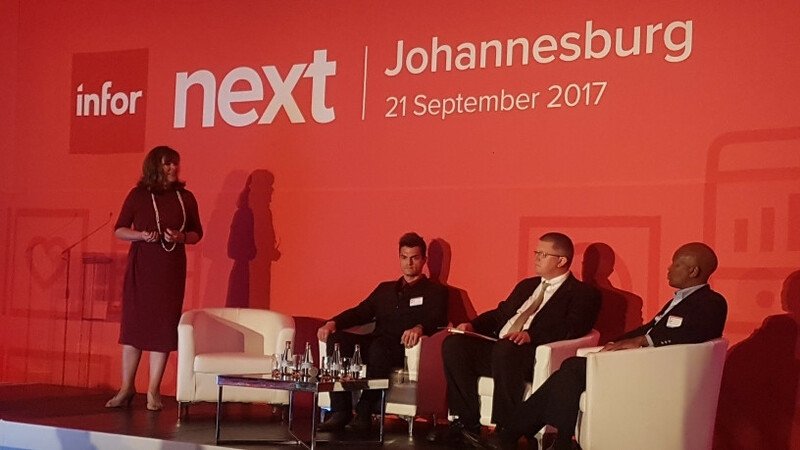 It's important that operations understand this shift and embrace technology as a basis for doing business," adds Molefe. To achieve this requires a focus on creating a central repository to collect all the data around the business' processes. "By focusing on analytics, clients are assisted in making much better decisions." At Profection Manufacturers, the second panelist, a large-scale technology organisation project has seen the company implement both enterprise resource planning (ERP) and enterprise asset management (EAM), to the benefit of the whole organisation. According to Jarrod Law, Operations Manager Profection Engineering, it is essential that organisations commit to adaption and forward thinking when it comes to the technology implemented. He believes that this is the key to sustainable employment opportunities, as a technologically driven generation enters the workplace. "Manufacturing in this country is small, it is a small environment with many people in competition with one another. It is important to have that competitive edge when moving forward into the technologies. You have to open your mind to technology and discover how you can use it to achieve your ultimate goals," adds Law. At Profection Engineering, the goal is to achieve the development of an entire digital platform designed to accommodate global organisations, offering the knowledge needed to make manufacturing pliable. "We are growing the company into the new technology era. We have invested in Infor Visual for our ERP solution with integration to Infor EAM to get the most out of our assets." To Law data is a critical component in this digital journey. "Everything around us today is data, everything we breathe or feel runs off data. I believe that statistics are the answer to finding better ways to improve and cut down costs. In the close competitiveness of the manufacturing world, it is vital that you assess that data correctly, map it accurately and understand the scope of your objectives clearly." Rowland Gurnell, Managing Director: Facilities Management at Sunbird, offered his view on the type of system required to make a positive impact on facilities management. "What we need is a system that can customise for our clients. In the market today, if you can't do it quickly, if you can't do it today, you've lost that opportunity." Gurnell believes that software goes further than technology, however, focusing on the need for ongoing relationships with providers to bolster the impact of implementation. "When considering software packages, ensure there's a partnership that comes with that package. With Infor EAM and the Softworx team, the flexibility is there, the partnership is there."